DVD Style Wallets - Coda, Inc.Coda, Inc. There is no secret that a flawless design will set your products apart from the rest. By choosing a reputable company you get the peace of mind of having premium quality products delivered on a consistent basis at affordable prices. Accurate, flexible and creative packaging is what makes your products look professional and unique. Impress your clients with this creative and modern DVD Style wallet suitable for almost any type of digital media application. Showcase your graphics, connect with your customers, and make a strong, professional impact with quality packaging delivered directly to your customers, on-time and on-budget. Our DVD style wallets are printed on premium grade C1S 12pt cardstock and come with variety of slot options for your convenience. Standard DVD style wallets are available in 4 panels, 6 panels and 8 panels respectively. 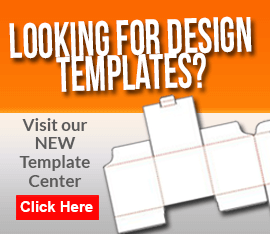 However, you can certainly customize your projects to include more panels if you desire. Offering a 2-disc set? No problem! DVD style wallets can store 2 discs at once or a combination of discs and inserts depending on the orientation of your project. Regardless of your needs our DVD style wallets are equipped with endless options and features, therefore highly customizable and suitable for almost any type of application. Our DVD style wallets are printed in vibrant color using a high quality printing process and when assembled with full color duplicated or replicated discs you get the perfect masterpiece for a presentation package. Our DVD style wallets are lightweight and are also approved by USPS which makes it an ideal choice for direct mail campaigns. DVD style wallets are designed to hold a CD/DVD duplicated or replicated disc up to 12cm or 4.75 inches in diameter. The wallets themselves are printed directly on with permanent inks then covered with aqueous coating for added protection and a glossier look. What makes DVD style wallets so unique is the ability to print your own custom graphics including images and text on both the front and back of each panel. This gives you maximum advertising opportunities and a clever way to present information pertaining to your content. DVD wallets are perfect for the following applications: Educational and Training purposes, Seminars, Product Launches, Catalogs, Multimedia Presentations, Software Distribution and much more. Our standard packaging options consist of 1 to 5 color direct-to-disc printing, full color custom printed DVD style wallets and shrink-wrap. Duplication is also available for smaller quantities.